Buyers hope to restore reputations of once promising, now struggling Sonoma wineries. Two of Sonoma County’s best-known producers—Buena Vista and Gary Farrell Winery—have new owners, thanks to the financially troubled Ascentia Wine Estates’ efforts to thin out its portfolio of wineries. 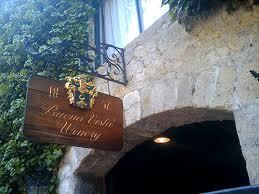 Buena Vista, which was founded in Sonoma Valley in 1857 and is considered California’s first winery, was purchased by Burgundy wine giant Boisset Family Estates. Sonoma-based Vincraft Group acquired Gary Farrell Winery, a pioneering Russian River Valley producer. It’s only the second winery in the Vincraft stable; the company bought cult Pinot Noir producer Kosta Browne in 2009. The sale price was not disclosed for either property. Both wineries have gone through numerous owners and winemakers in recent years, tarnishing their once-impressive reputations along the way. Ascentia was formed by a group of industry veterans in 2008 just prior to its $209 million acquisition of five wineries from Constellation. The wineries included Atlas Peak, Geyser Peak, XYZin, along with Buena Vista and Gary Farrell. But the company has been on shaky financial footing ever since. The latest sale of Gary Farrell includes the brand, inventory and a winery that sits on 23 acres along the Russian River. Farrell sold the winery in 2004 but continued to make wine there until 2006. Susan Reed is now the winemaker and produces about 25,000 cases annually. Vincraft was formed in 2008 by three industry veterans: Bill Price, Walt Klenz and Pete Scott. “Gary Farrell Winery is a top-notch producer with the consummate Russian River heritage,” said Scott, the company’s CEO.